If you thought Trunks are out of fashion, then you’re definitely wrong! ‘Cause Arohi Singh, along with her super cool label – ‘Art by Arohi’, is bringing them back with the most artistic and funkiest twist, and many more things! If you’re an art lover, who loves to stay surrounded by art and creativity, then we have found the brand for you. 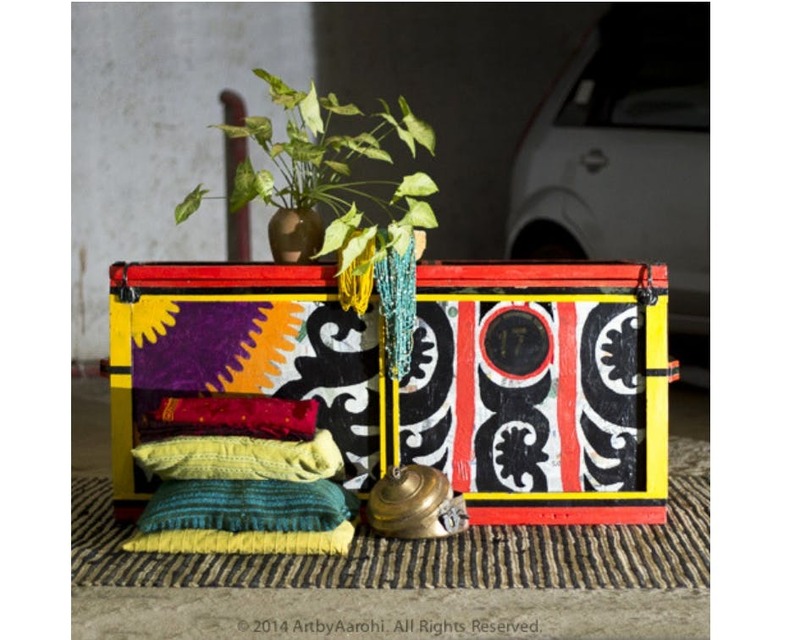 Art by Arohi is owned by a mother of two, Arohi Singh, who sees art everywhere she goes and retails her art on daily objects like kettle pots, baaltis, carom boards and (the most fascinating one) old trunks! Arohi grew up with these trunks around as her father and brother were both in the air force. Instead of getting rid of them, she painted on these big, tin boxes that are a sign of vintage India. Apart from trunks, the other things that’re a part of her “Kitsch Art Collection” (INR 3,500 onwards) such as tin buckets, kettles, tin dabbas, chairs and carrom boards that have been made into short tables. These will add the ideal pop of colour to any space. Her art is primarily influenced by the colours of Rajasthan that she was introduced to as a child. We loved how innovative she is with her ideas of transforming simple household stuff into captivating artwork, perfect for decorating the nooks and corners of your house.